Olivia brings an impressive background in rare plant surveys and monitoring, vegetation classification and mapping, ecological research, and hands-on restoration to The Freshwater Trust. 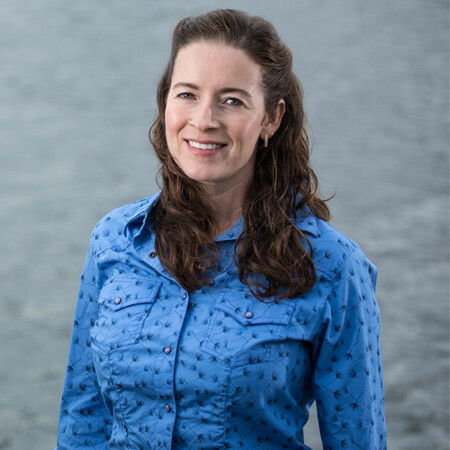 She has grown and installed native plants in the Channel Islands of California, worked to unify regional habitat and water quality monitoring in the Lower Columbia, and published on chaparral fire ecology and long-term vegetation change in southwest Oregon. Olivia has a bachelor’s degree in Biology from Cornell University and a master’s degree in Botany from Oregon State University. As the Riparian Analyst, Olivia leads The Freshwater Trust’s vegetation monitoring program and reference condition analysis, and helps develop tools prioritizing conservation and restoration opportunities. Outside the office, Olivia enjoys gardening, backpacking and getting dirty.